Having laid the foundation of the Holy Spirit's work in His Personal Dignity, it will now be an easy and a more delightful (because less controversial) task to raise the superstructure. Commencing from such a foundation- the GODHEAD Of the Spirit- what dignity and glory attach to His various offices and operations, as contained in the covenant of redemption, and as unfolded in the work of grace upon the heart! How important that we should enter upon its discussion deeply impressed with the spirituality of our theme, with its essential relation to the eternal happiness of the soul, and with fervent prayer for His own Divine illumination! It will be perceived that, in unfolding His work, we commence with the Spirit's first gracious and Divine act- the breathing of spiritual life in the soul. This must be regarded as an operation preceding all others. The Spirit's work as a Quickener must ever precede His work as a Sanctifier and a Comforter. If we look for Him in any of His offices before we have received Him as the Author of Divine life in the soul, we reverse His own order and cover ourselves with disappointment. We enter upon the discussion of this subject the more readily and, we trust, prayerfully, from the conviction that the modern views of the doctrine of regeneration, as held and preached by many, are not only widely different from the old standards of doctrinal truth, but, which is more serious and deeply to be deplored, are such as the Word of God clearly and distinctly disowns, and upon which there rests the darkness of its frown. Regeneration, as taught by many in the present day, differs widely from the doctrine as preached in the days of the apostles and reformers. In their writings and discourses the basis was deeply and broadly laid in the original and total depravity of man; this doctrine is now by many greatly modified, if not absolutely denied. In the days of primitive Christianity, the utter helplessness of the creature, and the absolute and indispensable necessity of the Holy Spirit's influences in the regeneration of the soul, were distinctly and rigidly enforced; sentiments the reverse of these, subversive of the Scripture doctrine of regeneration, and destructive of the best interests of the soul, are now zealously and widely promulgated. Surely this is a cause of deep humiliation before God; may He restore to His ministers and people a pure language, and graciously revive the precious, soul-humbling, Christ-honoring truths, once the safeguard and the glory of our land. 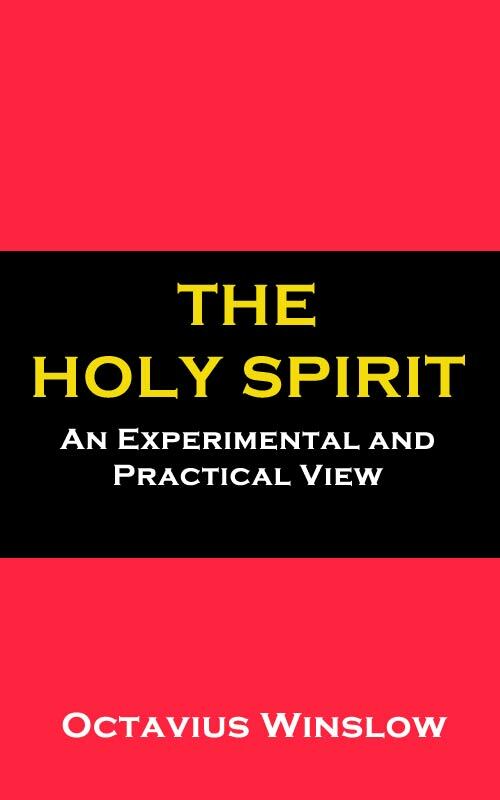 We propose in this and the following chapter to present a simple and scriptural delineation of the doctrine of regeneration, the office of the Holy Spirit in its production, and some of the holy effects as traced in the life of a believer. May there descend on the reader the anointing of the Holy One, and may the truth empty, sanctify and comfort the heart. Regeneration is a work standing alone and distinct from all the other operations of the Divine Spirit. It is to be carefully distinguished from conversion, adoption, justification and sanctification, and yet must be regarded as forming the basis and the spring-head of them all. For instance, there can be no conversion without a principle of life in the soul, for conversion is the exercise of a spiritual power implanted in man. There can be no sense of adoption apart from a renewed nature, for adoption confers the privilege only, not the nature, of sons. There can be no comforting sense of acceptance in the Beloved until the mind has passed from death unto life, nor can there be the smallest advance in a conformity of the will and of the affections to the image of God while there is lacking in the soul the very root of holiness. Faith is a purifying grace, but faith is only found in the heart "created anew in Christ Jesus." There must necessarily be the spiritual renewal of the whole man, before the soul can pass into an adopted, justified and sanctified state. Reader, ponder seriously this solemn truth. It will probably aid us in arriving at a clearer and more accurate knowledge of the true nature of regeneration, or the new birth, if we briefly look at the subject first from a negative point of view.